Bring on spring with the newest addition to our Instant Pot Pressure Cooker recipe series. This counter top appliance is popular among our Whole30 community, and Whole30 compliant Instant Pot recipes are one of our most-requested resources on social media. 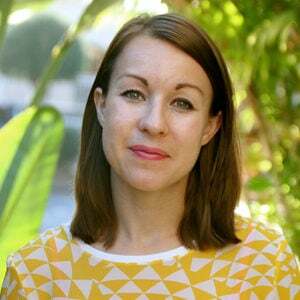 Sarah Steffens, our in-house recipe creative, is sharing her favorite recipes for nourishing, delicious Instant Pot dishes—Whole30 compliant, of course! Here at Whole30 HQ, spring is upon us. While the days continue to grow warmer, we’re also experiencing plenty of rainy days that call for nourishing, cozy fare. 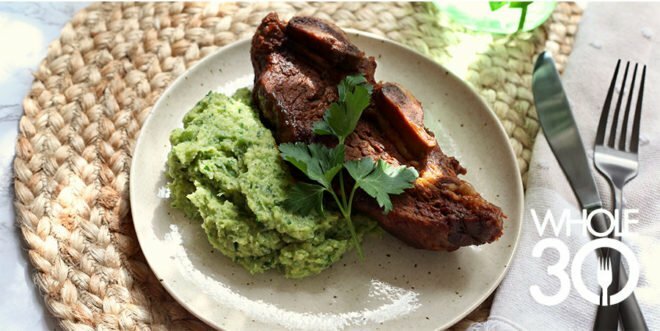 With that in mind, we’re sharing this recipe for Braised Short Ribs over Creamy Broccoli Puree. It’s light yet filling, with the perfect balance of savory protein and nutritious veggies. A vibrant, springtime twist on a cozy, #InstantPot feast! Recipe on the #Whole30 blog now. WHISK all short rib marinade ingredients in a bowl and pour in a plastic bag with a seal. Add the short ribs to the bag and seal and allow to marinate for 1 hour or up to overnight. PLACE the marinated short ribs in your Instant Pot. Place the lid on and set the steamer valve to “Sealing”. PLUG in your Instant Pot and set it to the “Meat/Stew” at “High Pressure” for 30 minutes. When the timer has reached “0” minutes, allow the steam to naturally release for an additional 30 minutes. TRANSFER to a food processor and pulse with the minced parsley until all is well combined and creamy, scraping down the sides and adding olive oil as needed. Remove from the Instant Pot and serve over Broccoli Puree, garnish with fresh herbs and enjoy!